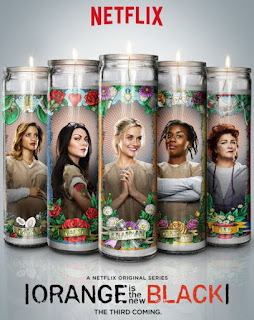 A very important quickie bit on Orange is the New Black, Beauty and the Beast returns on The CW, and Syfy premieres for Friday, June 12th. 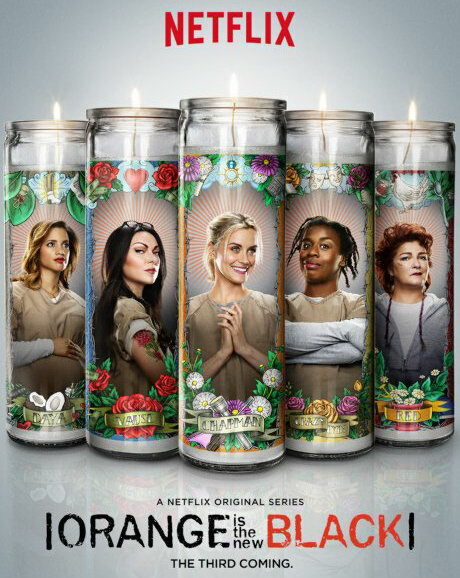 In case you had not noticed, Netflix has released Orange is the New Black a day early! It is up and ready for watching NOW! 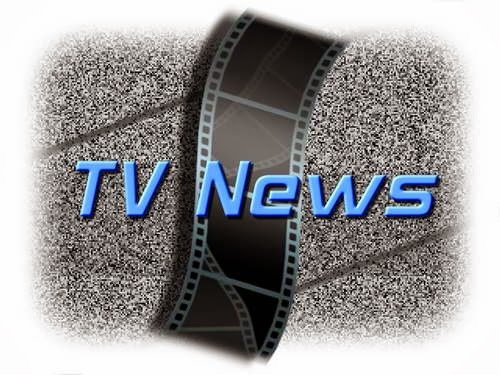 Beauty and the Beast premiered Thursday night (6-11-15) came off with the usual that we can expect from the CW's show. My only problem is having watched too many Marvel shows, they seem to be playing up the beast part a little too much. But it is on par with the show. The season premiere focused on Catherine and Vincent trying to start a new, normal life. And the usual beastly problems raise their ugly heads, dragging them both back into the fight against evil. If you like the show, you'll love the premiere. 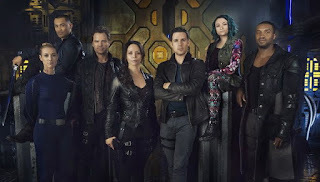 This Friday, June 12th, Defiance returns and Dark Matter premieres on the network. "The six-person crew of a derelict spaceship awakens from stasis in the farthest reaches of space. Their memories wiped clean, they have no recollection of who they are or how they got on board. The only clue to their identities is a cargo bay full of weaponry and a destination: a remote mining colony that is about to become a war zone. With no idea whose side they are on, they face a deadly decision. Will these amnesiacs turn their backs on history, or will their pasts catch up with them?" It also looks like a few familiar faces will be showing up for at least an episode or two also: Tori Higginson, Jon Cor, Amanda Brugel, and Amanda Brugel. I see David Hewlett's name in the cast, but I am not sure how many episodes he will be showing up in. But I think it will be good. Plus I like Roger Cross. OMG... Nicklelodeon just picked up the reboot of the Teletubbies! New episodes will air next year.